What is the meaning of the white rose? The white rose, or bridal rose, has long evoked the feelings of innocence and purity. A bouquet with white roses or white roses mixed with other colors can be a stunning and elegant flower arrangement to receive. Floriography, or the language of flowers, is an elegant and subtle code that was used to express feelings and emotions that the speakers were not willing to vocalize during the Victorian era. As the language of flowers contained more than just roses, the plants, herbs, and flowers that they’re grouped with can add subtle nuances to their message of innocence and purity. The White Rose in addition to its beauty has historical significance. The white rose figures in heraldry as an expression of love and faith. 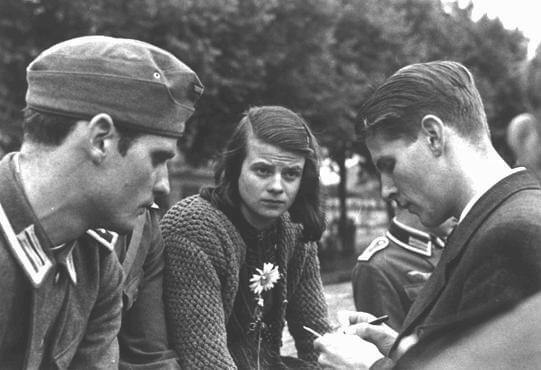 In Germany there was a non-violent opposition group of students who opposed Hitler and they used the name die Weiße Rose, or the white rose. This symbolizes youth and pure intentions of the participants. The earliest meaning for the white rose was one of true love but this association is now more prevalent for the red rose. The white rose is also called the bridal rose and as such represent unity, and new bonds of love. The white rose at a wedding carries the message of new beginnings and purity. 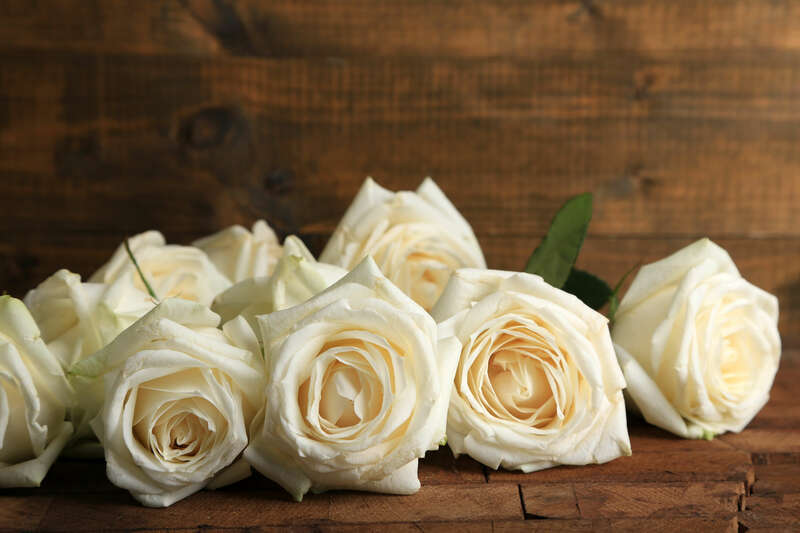 As the white rose can also indicate honor and reverence and often a feeling of spirituality the white rose is often seen in sympathy arrangements at funerals. It is used to symbolize remembrance, love, and respect for the departed person. In this case, the message of farewell is conveyed by the white rose. Today some of the more common meanings for the white rose are purity and youthful innocence. 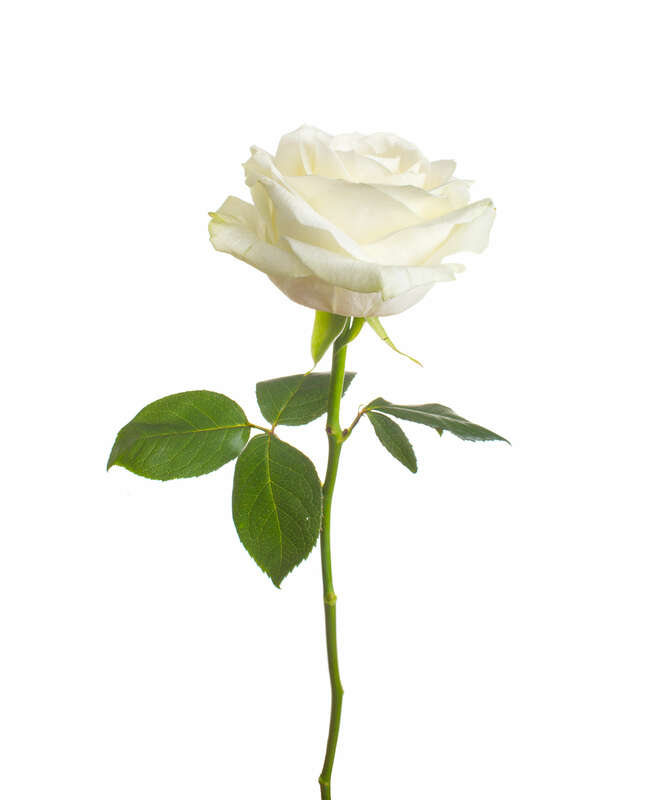 This meaning is more historical as a white rosebud was a symbol for a young girl considered too young for love. The white rose can symbolize friendship, hope, love and even respect. But the note that underscores it all is innocence and purity. The single white rose conveys a strong and deep message of hope, respect, and love. It conveys the purity of that love and deep respect. When a single white rose is given, it not only signals a level of humility but also conveys an everlasting love and devotion between two people. The intention is one of innocence and honesty, acknowledging the powerful bond between two individuals and their ultimate trust for each other. The white rose combined with other rose colors can alter and enhance the meanings of both. White and red roses indicate unity and bonding and are very appropriate for weddings. While a white rose can indicate truth it can also be implied in a white and red rose combination that the message would be one of true love. Looking for the perfect rose that will last forever? We offer real, fresh cut white roses coated in a clear lacquer to enhance the natural color and beauty of the rose buds. Then the leaves, stems, and prongs are trimmed in genuine 24 karat gold. Vase sold separately. Free shipping on all orders!